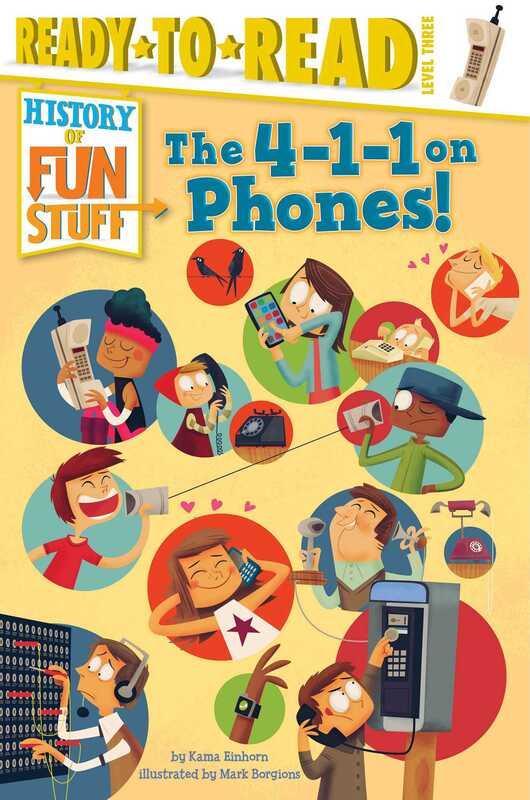 Get connected with everything you’ll ever want to know about phones—from the switchboard to the smartphone—in this fact-tastic nonfiction Level 3 Ready-to-Read, part of a series about the history of fun stuff! Did you know that the inventor of the telephone, Alexander Graham Bell, wanted everyone to say “ahoy”—instead of “hello”—when answering the phone? Or that your smartphone has more computing power than the computers used during the first moon landing? Phone a friend and dial up your knowledge to become a History of Fun Stuff Expert on phones! Amaze your friends with all you’ve learned in this fun, fact-filled Level 3 Ready-to-Read! A special section at the back of the book includes Common Core–vetted extras on subjects like science, social studies, and math, and there’s even a fun quiz so readers can test themselves to see what they’ve learned! Learning history has never been so much fun! Book Cover Image (jpg): The 4-1-1 on Phones!